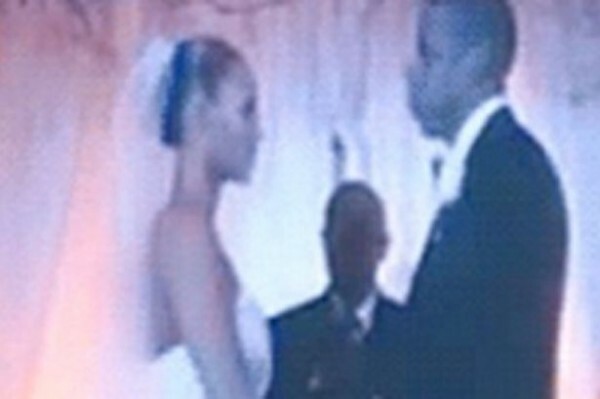 Six years ago, precisely April 2008, Jay-Z and Beyonce got married secretly and for the first time, they have shared photos from their wedding. According to UK Mirror, the power couple who are known to be private decided to give their fans a look at the happiest day of their lives during the opening night of their ‘On The Run’ tour. Last night, Wednesday June 25, Beyonce and Jay-Z played a footage from their April 2008 secret wedding ceremony on the screen at the Sun Life Stadium in Miami Gardens, as they kicked off their tour ‘On The Run’. 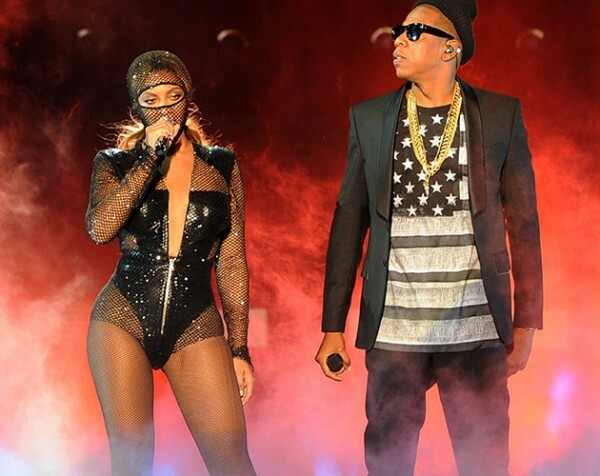 The video which showed the couple exchanging their vows, was played between performances from Beyonce and her husband and the fans were also treated to a 42-song set list. Not only did they play the footage from their top secret nuptials, they also shared footage from the birth of their adorable daughter Blue Ivy. Earlier this year, fans were shocked when footage of Beyonce’s sister Solange attacking Jay-Z in an elevator at the Met Gala was leaked, leading to speculation that the rapper had been unfaithful.